Dhaniya aur Amle Ki Chutney…Chutneys are quintessentially Indian. They evolved during British rule, was a favorite with them, and then gradually began to be made frequently in Indian households thereafter. 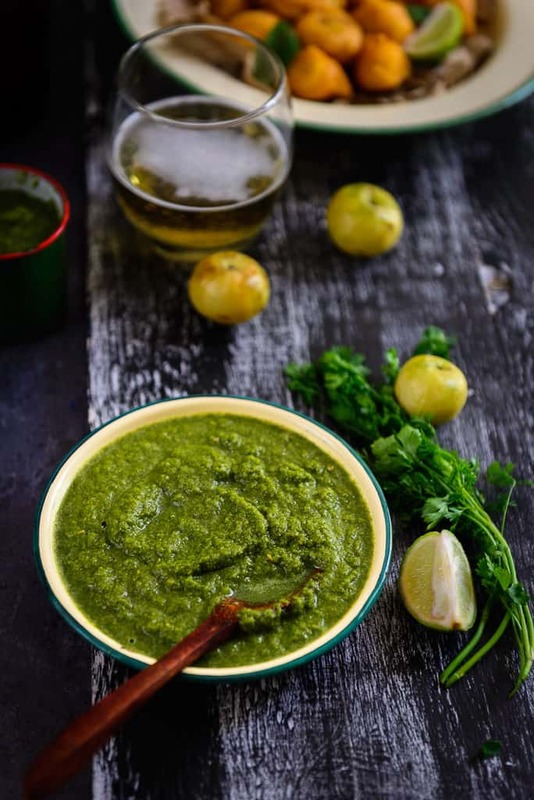 Chutneys are a clever blend of different ingredients, often have a tangy and spicy flavor and are eaten as an accompaniment with idlis, dosas and sometimes rice. 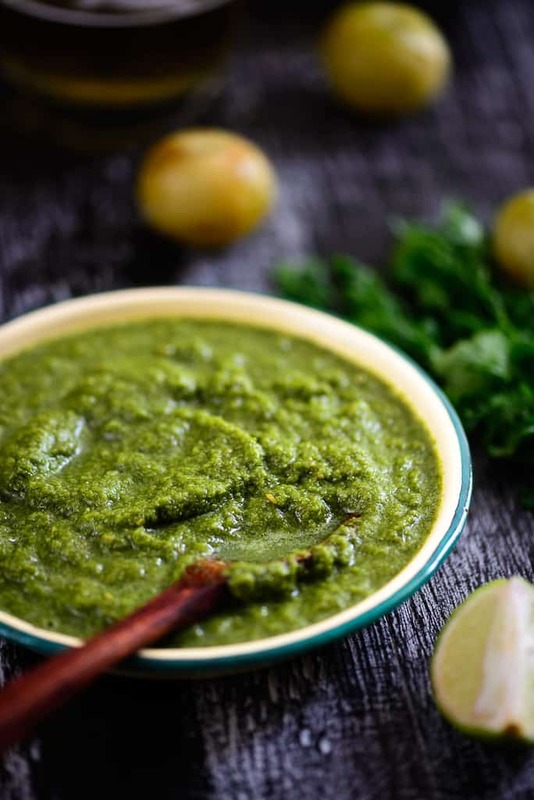 Daniya aur Amle Ki Chutney brings together the freshness of coriander and tanginess of Amla or Indian gooseberries. While coriander is a common chutney ingredient made for dosa and idlis, adding amla not only gives this a different taste, but loads of vitamin C as well. Coriander is also used in making other varieties of chutney such as Kairi aur Dhaniye Ki Chutney and the South Indian style Coconut Chutney. It provides the much needed base and freshness of taste. Some chutneys like the Khatti Meethi Imli Ki Chutney and Garlic Chutney use a different set of ingredients, while some others like this Andhra style Peanut Chutney Powder are drier and last for longer than the paste. 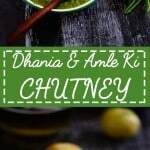 Here is how to make Dhaniya aur Amle Ki Chutney. Definitely try it at home as it is super easy to prepare and absolutely lip-smacking! Dhaniya aur Amle Ki Chutney brings together the freshness of coriander and tanginess of Amla or Indian gooseberries. Do read its recipe. Wash the amla and cut into half. Remove the seed and cut into small pieces. Add all the ingredients in a grinder and grind to make a smooth chutney. Serve with snacks and appetizers or along with Indian meals. Thanks for the recipe. Dhaniya chutney is pretty common in my kitchen. Need to try with amla.